The Republic of Kazakhstan will no longer make its Venice Biennale debut at the fifty-eighth edition of the exhibition this May. The Art Newspaper reports that the country’s inaugural national pavilion has faced a number of challenges since it was first announced in September 2018, ranging from confusion over who was organizing the project to the dismissal of its curators. 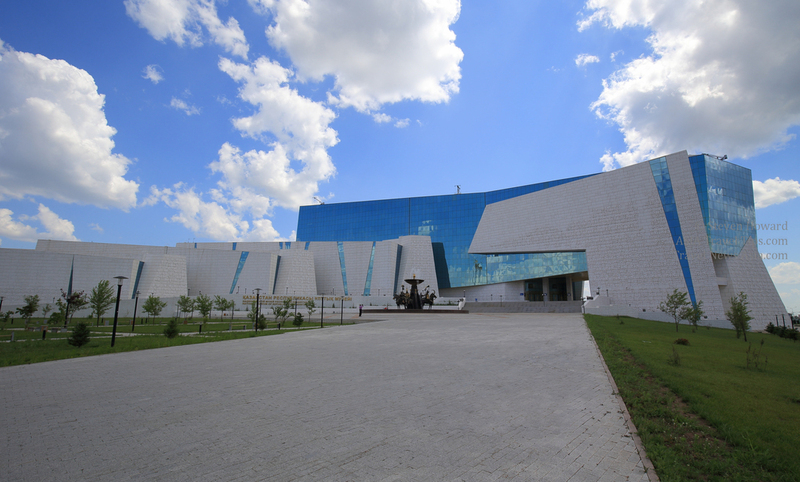 The pavilion was commissioned by officials from the National Museum of Kazakhstan in Astana, which is now called Nursultanthe capital city was renamed after the country’s outgoing president Nursultan Nazarbayev abruptly resigned on Tuesdayand Abil Zholamanov, director of the Ministry of Culture and Sports’ department of culture and art. Nadim Samman, the curator of the 2012 Marrakech Biennale, and Roza Abenova, the head of contemporary art at the National Museum, were tapped to curate the pavilion, but they learned that they were cut from the project from a press statement issued by the ministry that was posted on Facebook. According to informburo.kz, the ministry refused to participate in the exhibition. A letter sent from the ministry to Paolo Barattu, the president of the Venice Biennale, claims that the country had to withdraw because it did not have enough time to allocate a budget for the event. Adding to the confusion surrounding the planning of the nation’s presentation, at one point the Venice Biennale’s website had different curators listed for the pavilion: Almaz Nurazkhan, acting director of the National Museum; James Putman; and Victor Misiano, who contacted informburo.kz to inform them that he had not been asked to curate the pavilion and was not acquainted with the other curators. Information about the pavilion has since been removed from the site.